The Chicagoland Chamber of Commerce and our business community look forward to working with Governor-elect J.B. Pritzker. The Governor-elect is a successful businessman who understands the importance of entrepreneurship and technology. He is civic-minded and has been a leader in early childhood education and civil rights. When I was Director of the Illinois Department of Commerce and Economic Opportunity and Chief of Staff, Governor-elect Pritzker and I worked together on the Chicagoland Entrepreneurial Center, incubated right here at the Chicagoland Chamber. We created and implemented an early-stage venture capital fund, which has been successful and led to multiple successor funds. All of this led up to the creation of 1871 – the world-renowned incubator. Pritzker’s vision put Chicago on the map as a pro-growth tech environment. Governor-elect Pritzker talked with Chamber Board Directors prior to his election. He is innovative and collaborative. This makes me optimistic, and I am ready to work with him on a new vision for Chicago in the 21st Century. As I told Crain’s Chicago Business immediately after Election Day and at our Burnham Award Dinner last week, the Chamber has a pro-growth, pro-jobs agenda to put before the new governor. It is more important than ever to have a strong and independent voice for business. We are prioritizing three things: Talent. Infrastructure. Mobility. Cultivating, attracting and accommodating talented people is the foundation of any 21st Century economic plan. The Chamber is launching worker training programs to give the Chicago labor pool skills to compete and help businesses grow. We are implementing apprenticeship and internship programs, particularly for small and middle-market businesses. We are finding new ways to connect talent to companies, with diversity and inclusion an essential part of the equation. For more information to participate in these initiatives, please write our Vice President of Programs Joey Mak at this email. Infrastructure enables mobility, and mobility means opportunity. Our members tell us that airports and mass transit are two of the top things they need for future growth. Mayor Emanuel’s $8 billion investment in modernizing O’Hare, combined with the strength of Midway, will make us a globally competitive international hub long into the future. However, our mass transit infrastructure has fallen behind. Chicago’s downtown business district has grown by leaps and bounds in recent years, but our infrastructure has not kept pace. The Chamber will champion a new plan for investment in sustainable infrastructure for mass transit that will tie in our neighborhoods. We will work with the new governor and the Illinois General Assembly to develop a much-needed capital bill. We will also push for a plan in Springfield that enables the City of Chicago, Cook County and the collar counties to directly invest in new mass transit. These things will fully fuel our economic engine and power Chicago into the future. The Chamber will detail specifics of a plan early next year. Mobility means opportunity. Talent, new infrastructure and greatly enhanced mobility are necessary for Chicago and Illinois to attract employees and job-creators in an ultra-competitive global economy. We are at a crossroads. We have a new governor, and this spring, we’ll have a new mayor and city council. Big changes are ahead. The Chamber is using our influence to make sure Chicago moves in the right direction, and the voice of the business community is heard loud and clear on all issues. If you have thoughts to share, please reach out. I always want your input. Here’s my email. Reduced-price tickets for Chamber members & friends. 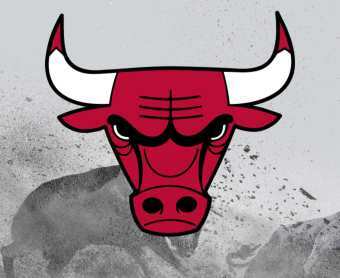 The Chicago Bulls are offering Chamber members and friends reduced-price tickets to games in November versus the Suns and Spurs. Click this link and use special offer code CCC when purchasing tickets. Vanille takes Thanksgiving pies to the next level. Orders now accepted. Horizon Pharma named to the Chicago Tribune Top Workplaces list. GMA Construction Group cuts ribbon on East Park Apartments in East Garfield Park neighborhood, served as General Contractor on the project. National Charter Bus Chicago offers transportation and logistics in 30 cities, from private personal trips to large-scale corporate travel. Vosges Haut-Chocolat releases preview of its premium chocolate gifts for the holidays. Order via email here or dial 888.686.7437. Modern Language Association hosting Possible Futures Career Fair, January 4. Connect with talent who have advanced training in writing, foreign languages, research & teaching. If you would like to promote Small Business Saturday on behalf of your business or simply advertise your support, please email our Director of Small Business to request marketing collateral that can be customized, at no cost! Want your news included but not a member yet? Explore the benefits of Chamber membership.